Caption slip reads: "Photographer: Glickman. Date: 1953-12-01. Assignment: Xmas TB seals go on sale, Van Nuys Post Office. 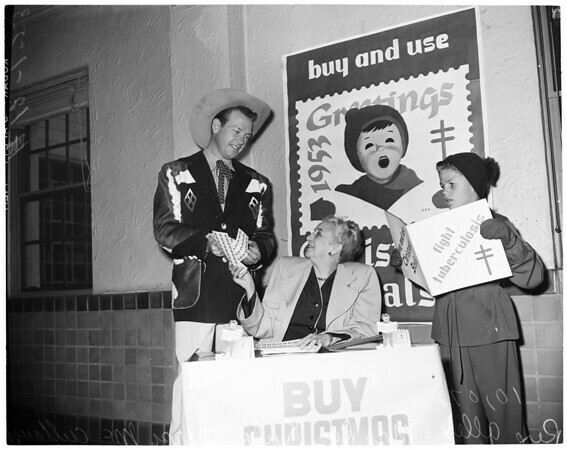 2 shots: Cowboy star Rex Allen purchases Xmas seals from Mrs. Roy Kulp as Xmas seal boy, Jerry McCullough sings on."